We are among the well known company in the field of manufacture, supply, export and trade of Fire Safety Equipments such as Fire Fighting Gloves, Wheeled Fire Extinguisher, Fire-Protection Equipment, Fire Suppression Systems, Fire Extinguisher Powder, Co2 Fire Extinguisher. These equipments are well designed by highly experienced experts who have great experience in this type of domain. 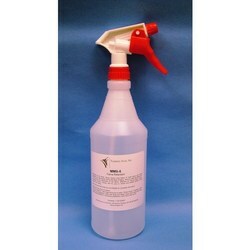 These equipments are of high quality material and are easily available at cost effective price. 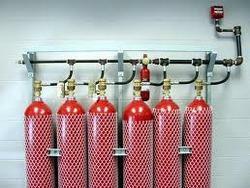 Our company has gained expertise in the field of the manufacture, supply, export and trade of Fire Suppression Systems. 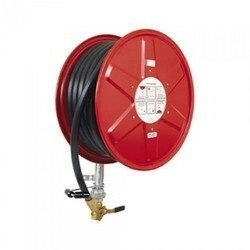 These suppression Systems are specially manufactured for quick response in case of fire. 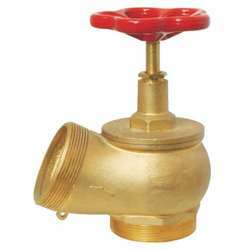 These have best solution quality which is based on fire suspensions. In addition to this these have longer service life and are user friendly in nature. These are available at effective market prices. 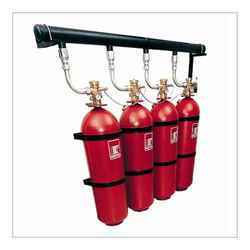 Our company is prominent manufacturer, supplier, exporter and trader of Co2 Fire Extinguisher. 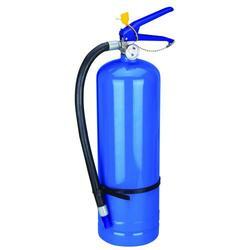 Excellent performance and splendid fire extinguishing capacity are the hallmark of these fire extinguishers. 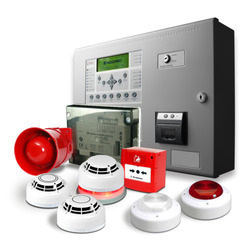 In addition to this, these are equipped with several safety components which help in case of fire. 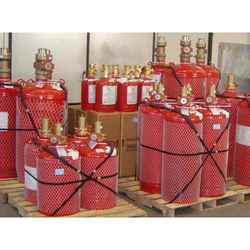 Widely used in the industries, these co2 fire extinguishers are fabricated from optimum quality of material. We are one of the popular companies that deal in manufacture, supply, trade and export of Kitchen Fire Extinguisher. 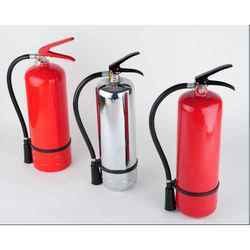 These extinguishers are extremely helpful in order to control a fire that might break out in the kitchen.Tested under the strictest quality control tests, these equipments are easy to use, store and do not take too much space in the kitchen. You can use it in your home, restaurants and so on. Our company is one of the sought after manufacturer, supplier, exporter and trader of Fire Retardants. Available in a compact, easy to handle form, they are useful in case of small fires where a certain amount of water is enough to control the fire. They are lightweight, easy to handle and operate and can be stored anywhere. 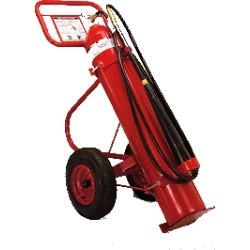 As one of the prominent manufacturer, supplier, trader and exporter, we deal in Portable Fire Extinguisher. As the name suggest they are highly portable and lightweight and can be carried from one place to another and are perfect in case of an emergency. They are also equipped with several safety measures which help to extinguish fire immediately. We are one of the sought after companies that manufactures, supplies, trades as well as exports Fire Fighting Equipments in order to ensure the safety and security of individuals as well as property. These equipments are tested under the strictest quality control checks by our industry experts. Moreover these equipments can be easily installed and they require the least amount of care and maintenance. Are easy to carry and install. Our company is widely acclaimed in the manufacture, supply, export and trade of Fire Extinguisher Powder. This extinguisher powder can be used in the fire on live electrical applications. These are developed by our expert team using high grade components. In addition to this these have high purity and give efficient performance. Last but not the least these are widely used in industries in different operations. Taking quality as our principal concern, we are engaged in presenting an excellent quality of Fire Detection System to the prestigious customers. We are a reputed company in the manufacture, supply, export and trade of Wheeled Fire Extinguisher. These fire extinguishers are used to prevent damage caused by fire and stop the fire from spreading. These are wheel based extinguisher which is easy to handle and move. In addition to this these have accurate dimensions and are perfectly engineered by our trusted professionals who have years of experience in this domain.